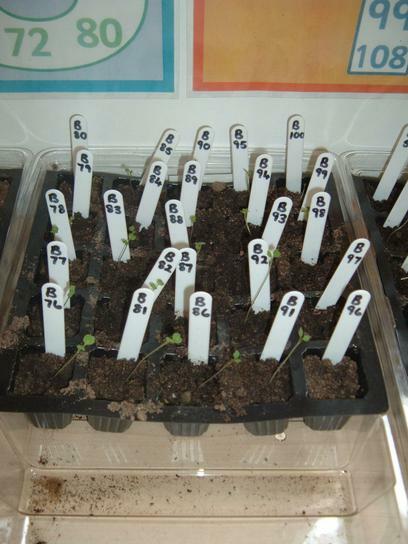 The rocket seeds are growing well. 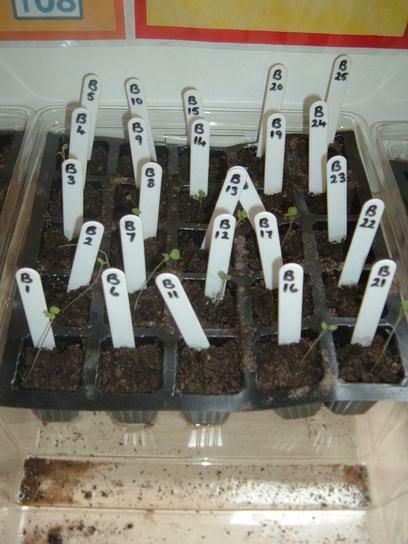 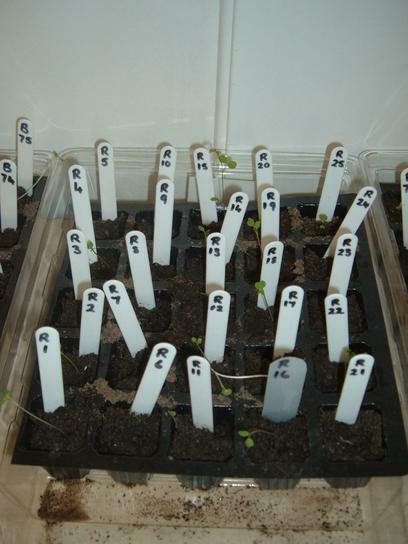 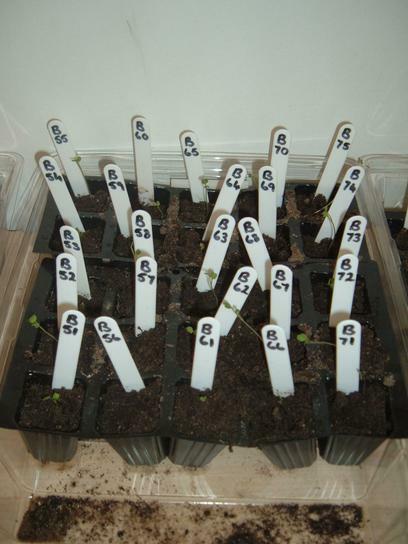 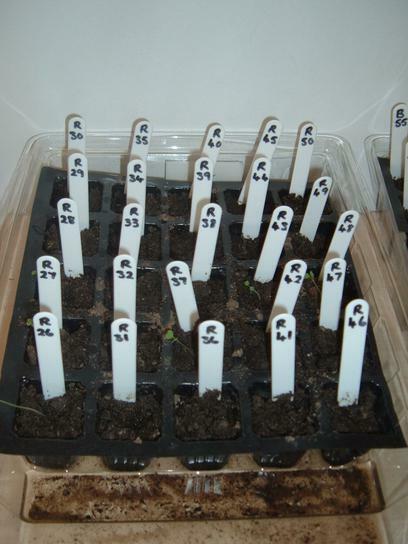 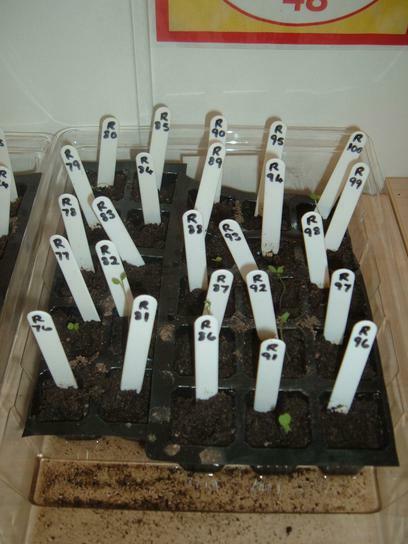 It is day 10 and so far 56 of the red seeds have germinated, but amazingly 88 of the blue seeds have started to grow! 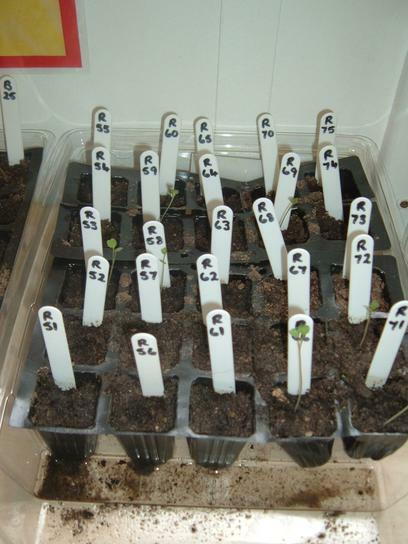 The tallest rocket plant is B45 at 6.3cm in height. 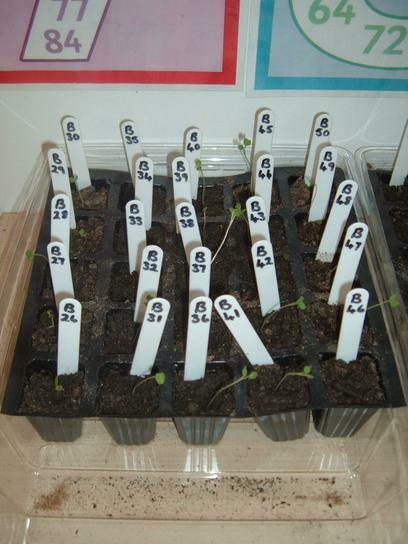 We are now waiting to see when they begin to grow two true leaves.